I think I've probably hit the topic of fantasy cities several times by now. I hope most of the fantasy stories I've spun in the last twenty years have a pretty strong sense of place. I love the idea of cities as characters-- where they're drawn well that pull along fiction that otherwise I wouldn't make it through. I got through much of the weakest part of the old Thieves World anthologies because I wanted to know what would happen to the city. Part of DC-ism may come from the use of made up cities for those comics. Star City, Central City, Gotham had a feel, rather than being simply versions of real-world places. That gave me room to imagine stories about them. Hub City in The Question comics of the 1980's and Opal City from Starman in the 1990's both stand out as superhero cities at least as interesting as the characters. Oddly I've never associated Tolkien in my mind as a great creator of urban locations. I had a pretty definitive idea in my head of what Rivendell and the Shire looked like (the movie got the latter right for me, but not the former). But Tolkien spends little time in those cities dealing with the character of them, save perhaps Minas Tirith. Even that's more of a cool set-piece. This creates a challenge for rpg writers in bringing those places to life; everything in adapting LotR runs the risk of feeling anachronistic, but here more than elsewhere. 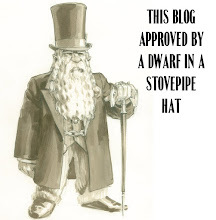 Cities suggest things about areas of life Tolkien avoids: local power hierarchies (except maybe in Lake Town), sanitation, trade, food supplies, etc. Not that these aren't things normally dropped in fantasy rpgs- usually since players often zip through towns. But if you're spending time in a place you have to think about it. 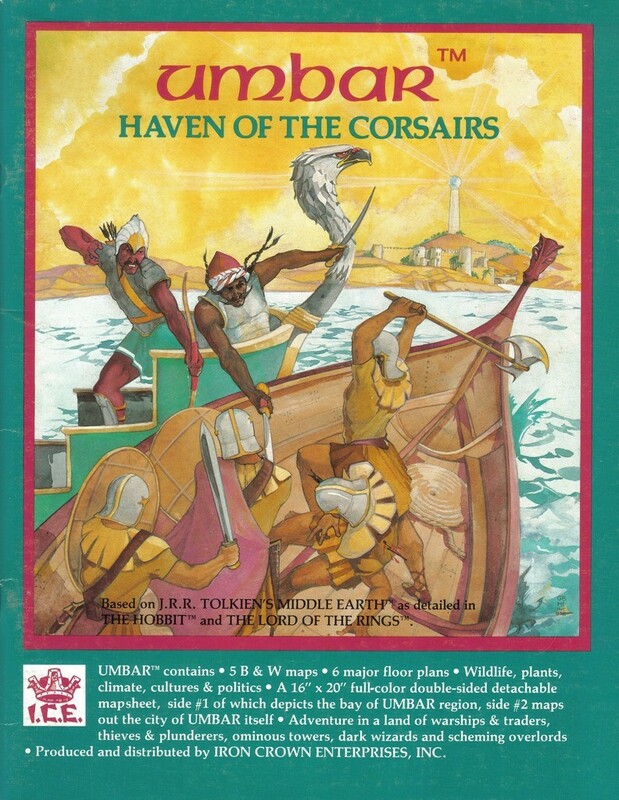 Which brings me around to the topic of my review, Iron Crown Enterprises' Umbar: Haven of the Corsairs. I have a fondness this module for a couple of reasons, not least of which is that it was among the first city-centered rpg books I ever bought and really read through to use. I'd picked up some other things, like City State of the Invincible Overlord, but Judges Guild had made that sufficiently disorganized as to render it pretty well useless. This book focused on a small areas, provided some interesting ideas and made me think about the atmosphere more. I found it tucked away on a comic book rack at a Hall of Cards of Books at North Village Mall-- a mall they bulldozed this last summer. So yes, this book came out some time ago-- part of a strange semi-old school era when some serious competition to D&D/AD&D began, but in a scattered way. Umbar dates to 1982, when Rolemaster still came in individual books aimed at adaptation to other games rather than standing on their own. Booklets printed on heavy card (Arms Law) or colored parchment (Spell Law). So ICE put out a number of Middle Earth regional RPG supplements before they actually had a dedicated Middle Earth rpg in the form of MERP in 1984. Of course, MERP would end up being Rolemaster heavily simplified. But in that gap ICE published seven regional books: Angmar, Ardor, Isengard, Mirkwood (North and South), Moria and Umbar (plus some adventure modules). Of those seven, Isengard and the two Mirkwood volumes deal with areas significantly referenced in Tolkien's works. Moria does as well, but ends up more a collection of random floor and section plans than a coherent location basis. Angmar, Ardor and Umbar go further off the map-- areas more hinted at than dealt with in the books. This gives the authors more leeway; something which shows up pretty heavily in The Court of Ardor, one of the wildest of these volumes. Umbar tries for some faithfulness to Middle Earth but also tries to serve the master...of Rolemaster. If you've looked at early ICE products, you'll recognize the design in this one. The book comes in at 52 pages of text. This is done in dense, small-print two columns throughout. For pullout maps you get decent if thinly marked regional map, which fits in the the other Middle Earth maps. I believe the intent at one time was to create enough maps that owners could assemble them together. The color illustration on the back cover shows where the regional map fits into the larger one. On the reverse you get a hand-drawn and hand-colored map of the city which is quite lovely. Buildings are unnumbered, but color-coded. Once DTP grew in sophistication ICE would abandon this method with the Shadow World line, creating truly hideous and sterile city maps-- when color coded these looked like Photoshop threw up on the page. The key for the Umbar city map is hand-lettered as well with what's supposed to look like an archaic font. Its neither bad nor good, just amusingly hand-made. The front cover has a standard generic illustration of two ships fighting. Later on ICE would get Angus McBride to do nearly all of the Middle Earth covers, creating a consistent visual approach (along with Liz Danforth interior illustrations). However some of the early books have covers like this one by Gail McIntosh, and I like them quite a bit. The book provides little in the way of interior art. There's two triptych illustrations of the faces of the leaders of the city. These are done by Charles Peale who I really like. The one thing that bothers me is some seeming inconsistency in the "ethnicity" of the characters. The cover and the general tone suggest a darker complexion, but the interior illustrations definitely track as European. That's however a generally problematic question when dealing with these fringe areas in Tolkien. Beyond those face pictures, there's one picture of an empty street and two not great drawings of castles at a distance. The rest of the illustrations inside are taken up with floor plans and maps. Umbar presents a city in the far south of Southern Gondor, but north of Ardor, the Seven Lands, and Harad (this last being one of the best sets of modules for the MERP line). Umbar houses the Corsairs, pirates who prey on Gondor to the north. We get some discussion of the city, primarily focusing on the six Captains of the Haven, each of whom control one-sixth of the area. The book uses the standard MERP setting of the Third Age (around 1600) as its baseline. I know that choice ended up being controversial among gamers. I liked it as it presented the flavor of Tolkien, but outside of the better-known continuity of the Lord of the Rings period. It means most of the big forces of the land (Arnor, Gondor, etc) stand at their height. That serves my purposes since generally I buy these kinds of supplements to adapt them to other settings and places. The book does provide a couple of pages of notes for TA 935 and TA 3020 (War of the Ring era). It's worth breaking down the book by pages. * Table of Contents, general Middle Earth background, mechanics for converting Rolemaster, map keys: All of which takes up the first 10+ pages. Most of that material repeats across all of the Middle Earth books. * Umbar in LotR and general regional discussion: Six pages, with most attention given to describing the Captains of the Havens. * The City Itself: Four pages, of which three pages are plans and floorplans. * Towers of the Captains: Six pages, floorplans with keyed location descriptions. * Groups and Forces in Umbar: Nine pages with some interesting ideas. More floor plans, some NPC stat blocks and a few plot ideas. * Castles of Umbar: Seven pages. Fortresses of the Captains and others with floorplans and keyed location entries. * Umbar Miscellany: Two pages. Map of a village, list of healing drugs, animals, prices, summary of the captains. * NPC Stat Summary: Two pages of charts. * Ideas for Play: Two pages. Suggested PC backgrounds, points of entry for plots, glossary of people, suggested adventures. * Umbar in Other Times: Three pages-- with yet more floorplans. As a evocation of the feeling of Middle Earth, Umbar fails. I think that has two causes. First, while interesting, the book feels particularly generic. Besides a few references which tie characters to this blood or that nation, it ties concretely to the setting as we know it. Some of that comes from it being off the beaten path, but I'd argue that other modules set outside the North did a pretty good job (Greater Harad for example). The other source really only emerges if you know Rolemaster and look at the NPC stats and descriptions. These characters are insanely, insanely powerful-- armed to the teeth with magic item and bonuses out the wazoo. (Rolemaster Reference: the weakest of the Captains is Level 20 with a DB of 90 and an OB of 225). These feel like characters come from an entirely different conceptual universe. In fact I ended up using this location as a sourcebook not for Middle Earth, but for Stormbringer. The characters and powers shown here fit a Young Kingdoms setting much better. It reads more like Moorcock or Howard than Tolkien. As a city sourcebook, I really want more. I want some discussion of the life of the city- some idea of the people and the dynamics. I don't want a keyed list of businesses, but I do want some ideas for what makes the city different. How do I convey that difference, that uniqueness to players? As city built on raiding and plunder rather than a solid economy- I would think you could easily find some details to build from. I really like the characters of the Captains of Umbar. I think even in the brief space given to them, they come off as characters I'd love to put into play in a game. This is a well that ICE comes back to several times in the MERP product line. They provide some region description and frame. But then the body of the work rests on describing a group or organization of powerful NPCs with interesting personalities and conflicting interests. You see it again in Far Harad, Shadow in the South, and The Court of Ardor for example. They come back to that because it works. Umbar has characters worth exploring, but leaves the job the tough job of fleshing them out. A weak MERP product, long out of print. Of interest to collectors and completests-- and those who love nice game maps. Neat to see another era for this kind of design however. The intent clearly seems to be that players will be storming the various castles and citadels of the Captains-- pseudo-dungeons. I like some of the ideas here and the city is generic enough to be useful as a port in most fantasy campaigns. The thinness of the description works to its advantage as nothing here relies on a unique property of the Middle Earth setting. The endgame high-level (could we perhaps say "epic") book for the Changeling the Lost setting. This volume had originally been intended to finish out the Changeling line. I find that interesting in that they'd clearly planned out the line from the original development-- which books they needed to do to have a nice closed line. They'd taken the same tactic with the earlier Orpheus experiment (though in a slightly different way) in the Old World of Darkness and with the Promethean line for New World of Darkness. I'd be curious about how much in advance this book had been put together. It does feel like a book which comes out of the tone set by the earlier books, rather than how Changeling seemed to have evolved as a concept once fans really got ahold of it. The additional books they created to satisfy demand, Swords at Dawn, Dancers in the Dusk, and Goblin Markets feel more like ideas which came out of campaigns and people really playing and goofing with play-- rather than non-play brainstorming and creative development. I may be off on that assessment, but that's how I read it. The intention of the book is to provide guidelines for high-level play in Changeling. It offers powers and abilities for changelings who have advanced-- but also some considerations of the dangers and drawbacks of becoming that strong. That's primarily measured by Wyrd, and to a lesser extent Clarity. Given that Changeling lacks a real "level" system, they have to find signposts which can show players (and GMs) where they are along that road. Beyond that it also provides an expanded sense of what a campaign involving "storming the Hedge" and battling the Keepers might look like. Some of that had been addressed before (in the Autumn Nightmares book) and would be again (in the Dancers in the Dusk book). The book follows the standard excellent level of design for most books in the series. There aren't any pages obscured by watermark or typography decisions. It's a 160 page book, less front and back matter plus only eight pages of game fiction which actually does a good job of setting tone. The illustrations are generally strong, although the do get weaker as the book rolls along. While the opening chapter has some character advancement and options material, this is really a gamemaster-only book. I should also point out that, at least for my copy, although this Changeling book had been printed in China, it did not share the same horrible chemical factory and toner smell of the other Chinese-printed Changeling book (Dancers). The first chapter runs 43 pages. There's an interesting contrast here in that it is at once the most mechanically-oriented of the sections of the book, but also the one offering the most story options and ideas. It covers character development options for changelings at the end of a long campaign. While this section could be player-facing, it works better as GM material which could be discovered and revealed through play. The Changeling setting lends itself to uncertainty and ambiguity-- fewer in the way of reliable guides to what comes later. A campaign ought to echo that. As I mentioned before, a character's Wyrd can mark their entry into the world of high-powered strangeness. The problem is that such magical connections have a dual edge to them: great power along with disconnection or becoming more of your changeling self. The book looks at the benefits and consequences for having a Wyrd of 7 or higher (since 10 is the apparent max). It discusses how that affects the Mask and Mien, including a few new Merits with high Wyrd prerequisites. The book walks through each Seeming and shows how they might be affected by greater power-- with mechanical specifics as well as narrative ideas. I enjoyed this material; as a GM it provides a host of ideas for how to handle NPCs- hinting at some of those consequences for the players. As an example, the Wizened Chirurgeon (or Physiker as we call it) at high levels still claims to want to heal, but in fact they start to see people as things which need to be fixed. If there's a drawback to the material here it is that they only go through the Kiths from the core book and not the additional ones from Winter Masques. While they give some mechanical notes on how to grant benefits for those Kiths, I would have liked to see some story ideas for them. The material also suggests what can happen when a changeling gets to that Wyrd 10 rating-- not a pretty picture. The next thirteen pages of this chapter deal with how players might go about making their own Contracts. It gives both a set of story ideas of how that might play out as well as some pretty tight mechanics for the actual building of those. It doesn't feel as restrictive or complicated as the core book Pledge system, but does have some odd bits. By its nature it has to deal with questions of balance and gameplay. I think they do a decent enough job of letting the reader peek behind the curtain of the design decisions, but generally I like the story and campaign ideas provided by such quests. It gives insight into how Contracts actually appear to changelings. Ironically example built Contract set given feels incredibly over-powered and game-breaking. It provides abilities at the upper levels that make other sets look pale. That's a bad design decision. The ideas about forging contracts also get a little discussion about how those concepts might be applied to creating a new Court. The chapter finishes up with four "Eldritch Orders" which are simply high-level entitlements. They don't feel all that different from the existing entitlements. How useful they are will depend on a GMs approach to the entitlement concept in a campaign-- for me, not so useful. This chapter deals with storytelling Changeling at the highest levels. Strangely, I think most of the material here in the first twelve pages of the chapter could apply to any Changeling campaign. It hits on the usual notes about drama, rising action, providing opportunities and the like. It shifts between being about half generic advice and half more specific ideas and examples for this kind of game. I want to like what's here more than I do. The other half of this chapter, another ten pages, deals with the question of cross-overs between The Lost and the other World of Darkness lines. Generally I'm less interested in that in the new World of Darkness (I was the other way in oWoD). But this chapter takes concerns about theme dilution seriously and addresses that. I looks at each particular line and considers how those might interact with Changeling. In particular it points out potential problems for those kinds of intersections. For GMs considering doing hybrid games, this is a must-read. This chapter, like the first, also comes in at 43 pages. It considers the nature of Arcadia, the realm of the True Fae and of the Keepers themselves. Autumn Nightmares dealt with some of this-- mostly from a mechanical standpoint. And in that case, it considered the Keepers as adversaries in the mortal world. This section presents some new ideas and secrets about them, how they interact with one another, and the hierarchy within the Hedge World. The material is good and thought-provoking. I don't want to spoil to much by commenting on the specifics. If you're considering taking a campaign into the other world more, then this will provide some ideas. This applies even if you're not running an "Epic" game. Certainly I can imagine a Changeling chronicle which spends more time in these fantastic realms-- one where they're not necessarily hostile. That kind of game would skew more modern fantastic and could be quite viable. The chapter has many ideas on how changelings can get to these realms, how they can interact with them, and how they might take the battle to the Keepers themselves. The material here could easily be foreshadowed in the early game-- and players could taste these riches through short quests and the like. I like some of the specific areas suggested and some of the campaign seeds given here. The material in Dancers in the Dusk compliments this well and should probably be read in conjunction with it. This last chapter, twenty-five page long, build from the idea of the previous one. It provides an extensive but loose campaign outline for providing an Endgame to a campaign. Such and endgame might be a capstone story or might bring about drastic changes (ala the Time of Judgment chronicles that closed out the earlier old World of Darkness). It builds it as a fairly linear Heroes Journey-- with example Guides and Obstacles provided. While I doubt I'd use the material given as is, it does provide a nice template for GMs. The specificity of the story provided doesn't limit its adaptability. The book ends with a strange little five page Appendix called "The Game of Immortals." It quickly presents a rules-lite/ruleless non-GM entertainment with each participant playing a True Fae engaged in a contest over something. I can't help but thinking of Fiasco as I read it-- with plots and plans going awry. It is structured as a Freeform game evening. In some ways it echoes the structure of the Throne War one-shot scenarios from the Amber RPG. There everyone battles to seize the Throne which has suddenly been vacated. It also echoes another White Wolf product, the first edition of The Fair Folk from Exalted, written by Rebecca Sean Borgstrom (or even her Nobilis game). I don't know how playable the game would be-- but it provides some ideas and serves as an odd contrast after many Changeling books of dense specific rules and mechanics. I'd say some of the ideas here could be taken for other games, especially some of the Arcadian domains presented. "The Game of Immortals" as well could be lifted over to something else. But generally this book builds from the earlier Changeling material and supports that specific setting. On the other hand, for GMs adapting Changeling to another system, there's some mechanics here that will require some serious consideration before converting. It's a good book-- and not just for GMs getting to the latter part of the campaign. I think some of the concerts and plots here would be worth setting up earlier. It also gives some ideas for how to make older and more powerful changelings seem strange, powerful and yet vulnerable. I'd recommend this to GMs who have decided to definitely run a Changeling campaign. So let's begin with a bit of an explanation for recent delays-- skip this if you don't care. I managed to injure my right hand just after Thanksgiving from various domestic activities (cooking and cleaning) as well as...well, Wii Boxing. I'd had some previous stiffness in the hand arising from some cysts and bone splinters. However, I clearly inflicted an actual injury on myself over the November holidays, leaving me in some pain. Some nodules had evidently detached and decided to float around resulting in irritation. That, however, was nothing next to New Year's Eve Day when I woke up at about 4am in roaring agony. I essentially lost use of my right arm from the force of pain. I had to desperately try to keep my hand held upward and at an incredibly specific angle or else drive white hot nails into my nerves. My doctor's office was, of course, closed and I knew given the nature of the pain that an immediate care clinic wouldn't help. About 10pm, the pain strangely abated as whatever broken-off bit in my hand decided to float to a new place. Now I'm just in general pain, but not agony. I saw the doctor Monday, got X-Ray and have to see a hand/wrist specialist next Monday. Undoubtedly I'll have to have orthopedic surgery on the hand, which pushes back getting the nerve compression in my right heel taken care of for a little while. All of which is to say I've been trying to take it easy on the typing. So I'd like to take a quick look back at the rpgs I ran in 2010, trying to see where we started and end, make some assessments and consider where we're going. After that I'll discuss some of the plans I have for 2011 gaming-wise. Sessions: I'm going to estimate that we got in 24 sessions in 2010. I only recall two bumps and most of the time we managed to get the schedule in gear. Narrative: We started out this real time year with the characters returning to school for their Year Three classes. That was a nice coincidence. The group had just come off of a side-story that ended up taking about three times as many sessions as I'd intended. They also suffered their first real defeat of a kind which made them a little gunshy. Year Three set up several major plot points: the changes to the school's administration following the death of the headmaster; visitors from two sister schools; the student council; and battling against the evil school Codici Malefactus. Interestingly my vision for the course of the plots over the five years has begun to unravel a little based on the PCs actions. What I'd pictured as the central element for this year has become secondary (if that) and other things have moved to the forefront. In those 24 sessions we just managed to get through the first semester of Year Three and only that by some heavy pushing on my end. We had some excellent bits, including the session where the players visited Codici Malefactus-- but there were some things there that I'd like to talk about in a future post. Some of the characters seemed to me to come more into focus this year, and a couple seem to have dropped themselves back into the backdrop-- one fairly significantly. I'm still working to tie together threads. I'd like to get through this second semester in a much shorter time-- cut a little faster to the key issues and reduce the side story content. Or at the very least keep any side-story bits down to two session or less. There's an irony in my saying that as we begin this year in the middle of a side-story bit: an Arabian Nights interlude that's already run a session longer than I'd hoped. I want to be into Year Four by the end of this year, especially since my original plans for the arcs has shifted-- and those ideas we written incredibly loosely but I have to adjust. Sessions: This is the game which gets bumped the most-- at a guess, I'd say we probably got a dozen sessions in of this. Narrative: We began this year with the group just returning from defeating the Many Venoms Sect's plot to assassinate Judge Eng. The group returned and began to really bear down and investigate in city of Yanshan, uncovering plots, dressing as the three Fox Ninjas, taking on a wushu brothel and finally battling against the Hell Clan for the secrets of Weapons of the Gods. I finally pulled back the curtain on one of the big plots revolving around the return of Nine Weapons related to a dark God-like power and its three avatar spirits (including the Shark-Fingered Princess, my favorite name in the game so far). The group eventually ventured outside of the city to conduct two different investigations, ride dragons, catching falling star-swords, lure and slaughter ninjas, and finally return home to organize a jailbreak. Comment: It's still the game which throws me off the most since it does have some heavy mechanics and we do have significant gaps between sessions. I keep thinking that I need to wrap it up and finish the campaign, I've even thought of just ending it, but then we actually sit down to play and we have the best time. It is a funny, delightful group to play with-- I love everyone's interactions. And the genre lends itself to great, over-the-top situations both in and out of combat. I suspect we will wrap this game up this year, but not until we get to a really solid end point with resolution. The game is always fun, demonstrating how great these players are. Sessions: I'd guess we had 22-24 session of this over the year-- we had a couple of bonus sessions but also a number of missed sessions. Narrative: We began the year with the group in the middle of the Christmas holidays, with a great deal of responsibility placed on them as the two Princes had to leave on spirit quests for the season. I'd hoped to put the players into positions of more authority and give them a chance to seize the heroic reins. We end the year only a few weeks in-game time later, something like the end of January. This campaign has always moved slowly-- with a lot of NPC interaction and complex plots that require a complex interaction. The pace has picked up significantly for the better-- we're doing interesting things, it doesn't feel like a clocks ticking and everyone has things they could be doing and are doing. The group's right now working on figuring out how to deal with an adversarial Winter Court which has returned after 20-some years lost in the Hedge. They're now a Court at war with the Changelings currently in power. Other major plot threads have moved nicely forward and some of the real bad guys have been identified. Comment: I really love this game-- and quite frankly I expect it will keep running through 2011. We had a shift in player line up in 2009 for the better and we had another shift in 2010. It became clear that it wasn't a good idea for a particular player and I to play together and we decided to sever the game playing side of our relationship. I think that was for the best; I certainly hadn't recognized how much those problems were bringing me down and bringing the game down. We added two new players to the game and I'm loving it even more than before. 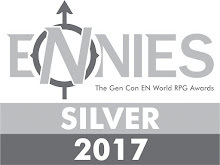 They've enjoyed interacting with the NPCs and the environment, have taken risks, and have been slowly developing and advancing their character's stories and personalities. They've really risen to the challenge-- both in the game and also the challenge of coming into an existing campaign as new players. That's a tough thing to do. But I've learned that it really does work better if you have more than one new player coming in, and with characters who have to be shown the ropes. Sessions: I'd guess closer to 20-22 sessions. We had some bumps on this one since it falls on Sunday evenings which can be tough. Narrative: We began with the group back in Pavis, getting ready to head ito the Big Rubble to enter the Puzzle Canal. They did so, over the course of many sessions with some significant detours that revealed some of the major plot points of the campaign. The group returned with some new members and then did some more local political interactions, including working with the Meldeks of the Rubble and destroying a Vampire Cult. They traveled to Sun County to settle some domestic issues, interacting with White Imperial Agents, and then came back again. They tracked down a Godchainer plot which led them out into the Rider Clan Lands, discovered a walking EWF castle which they explored, then over the course of several sessions bargained with the Rider Peoples and stopped the Chainer plots, killing of one of their major enemies. Again back to Pavis to regroup and then off to the edge of the Mythic Mountains and the Great Fallen Tree where they discovered another version of the Clanking City walking around preparing an invasion of this world. Comment: We lost two players from this campaign; in one case we decided to simply write the PC out so that he'd never actually existed in the campaign. That ended up the easiest way to handle things. We added one tremendous player to the game who really added a huge amount of humor and pathos to the campaign. I don;t think we actually missed a session in the transition. Scott's character, Deeds Unworthy, has the greatest conceit for a character coming into a game late: he's actually always been there but the party keeps ignoring and forgetting him. He's the last follower of a god of being overlooked. He has to suffer through many of his most heroic actions being seen as coincidences or someone else's work. This game has held together pretty well-- I'm still pleased by how well Action Cards has worked with a high fantasy, high magic setting. The profession Tracks have held up, especially the new ones-- but I have some more work I need to do on those. The magic system is better-- much better-- but still needs some tuning. I like the way damage works with the dice. I do think that we will wrap this campaign up this year. I have a couple of other things I want to run and we are getting to the third dramatic act of the story here. I enjoy the game and the player group we have quite a bit-- even if they do bring too many snacks. OK-- so already fairly long-- next post will have to deal with other games, future plans, and some assessments.